CEDAR CITY – Friends and family of Thomas Christensen, a 19-year-old man killed Monday in a rock climbing incident near Cedar City, gathered for a press conference at the Cedar City Council Chambers Thursday morning to talk about their son, brother and friend. “He loved always pushing himself to the limit of doing the things he loved to do,” Thomas Christensen’s mother, Tavia Christensen, said. 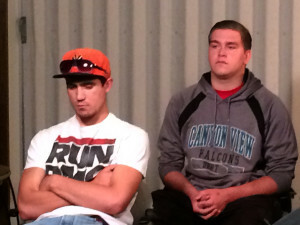 Also gathered at the press conference in memory of Thomas Christensen were Patrick Larson, who described himself as a father figure to Thomas Christensen and is referred to as an extended family member in Thomas Christensen’s obituary; and Thomas Christensen’s best friends Alex Foree and Mikey Barnhurst – Tavia Christensen said the two men were not just friends but were brothers to her son. Foree was rock climbing with Thomas Christensen when he died, as was Thomas Christensen’s 15-year-old brother. Foree recalled the fatal incident. He said he, Thomas Christensen and the other members of their group had climbed to the top of a mountain, which is a popular rock climbing destination located about 200 feet above state Route 14. Thomas Christensen was only a couple of feet below Foree when, Foree said, he heard him slip. He reached down to try and grab Thomas Christensen’s hand but was not able to. According to police reports, Thomas Christensen fell between 20-30 feet. Foree said he rushed to where Thomas Christensen had landed and found his friend conscious and breathing but unable to talk. “I think he knew I was there,” Foree said. “I just told him, ‘We don’t need panic, you know. It’s the last thing we need to do right now,’” Foree said. Foree, who has a background in emergency medical service training, said he tried to think of ways to carry Thomas Christensen down the mountain, but he didn’t want to risk injuring him further if he had a neck injury. Members of the Iron County Search and Rescue Ropes Team responded to help remove Thomas Christensen from the mountainside and get him to SR-14, where Life Flight was waiting to take him to the hospital. 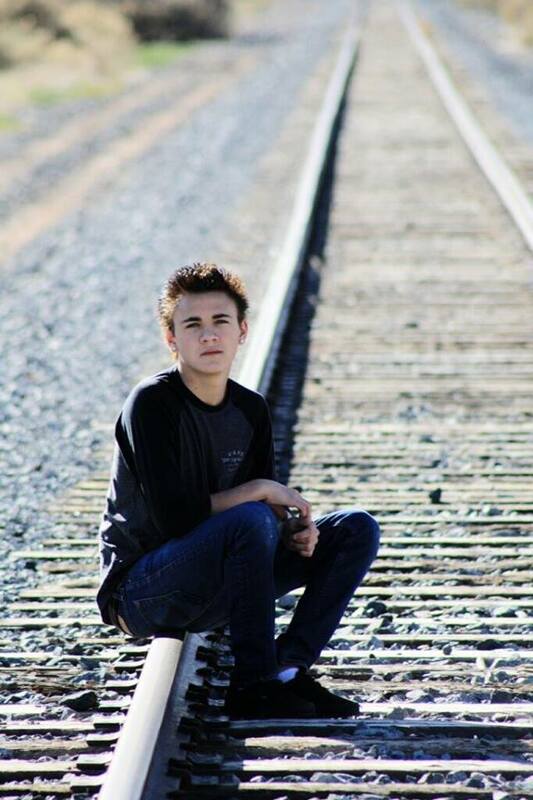 But the injuries the 19-year-old had sustained were too traumatic, according to Cedar City Police Department, and Thomas Christensen died before he could be transported to the hospital. Tavia Christensen described her son as an encouraging, kind and loving person who cared about others and was an inspiration to many. “He always seemed to be the one to hold us all together,” she said. The oldest of her three sons, Thomas Christensen was not only her son but her best friend, she said. Larson expressed his gratitude to members of the community who turned out for a candlelight vigil held in Thomas Christensen’s honor Wednesday night. Between 300-400 people showed up near the place where Thomas Christensen died to pay tribute to him, Larson said – many of them young men were near Thomas Christensen’s age and had known and been influenced by him. “It’s amazing to me how many people he had touched,” Larson said. 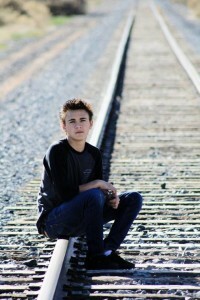 Thomas Christensen’s funeral will take place Saturday at Southern Utah Mortuary, 190 N. 300 West in Cedar City. A viewing will take place from 2-3:30 p.m., and the funeral services will follow at 4 p.m. The funeral services are open to the public. Attendees are asked: Come as yourselves, in ordinary clothes you would wear any day of the week rather than dressed up, because Thomas Christensen will be presented as he was; dressed up and stuff is not who Thomas Christensen was. 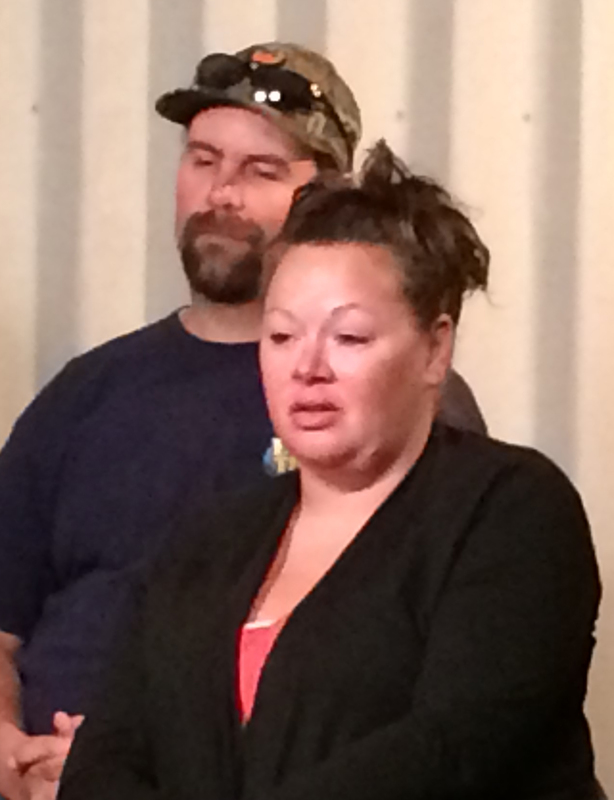 “It’ll be a celebration of life, just the way Thomas would want it – not a funeral,” Tavia Christensen said.